These are the various articles that have featured Dr. Kenneth Wu over the years. Click heading to see the FULL article. Heart Of Champion - Albertans. Local Martial Artists Excel - Red Deer Express. 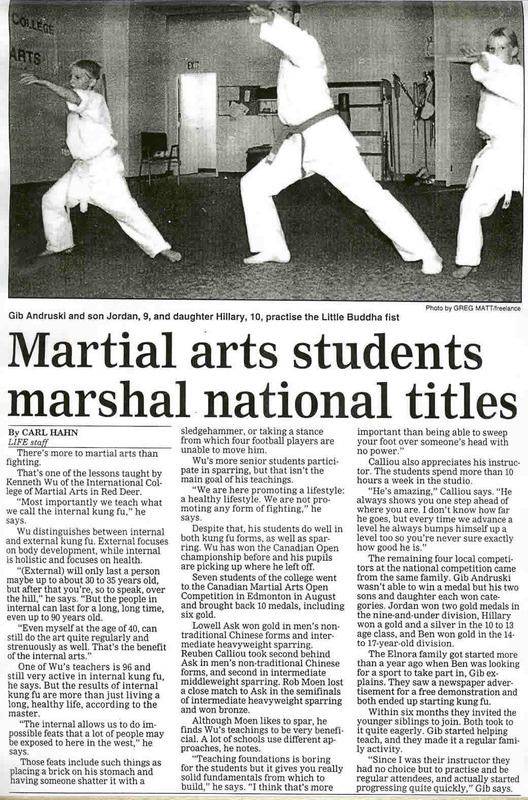 Martial Arts Students Marshal National Titles - Red Deer Life. 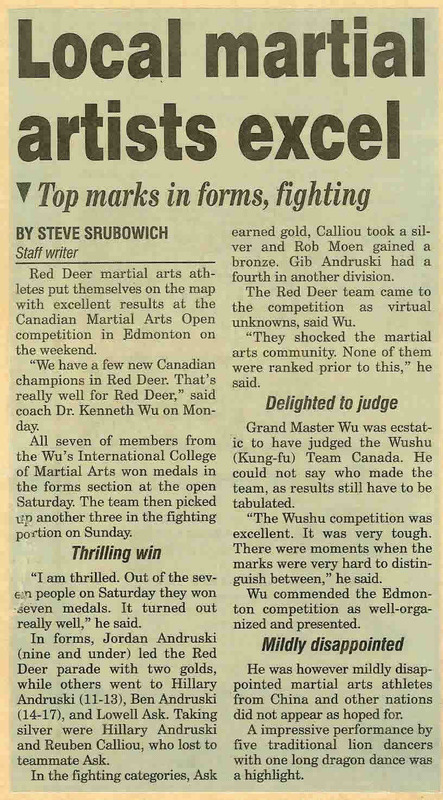 Martial Arts Triumph - Edmonton newspaper. Master to Choose Team Canada - Red Deer Express. New Acupuncture Business Has Area on Pins and Needles - Stettler newspaper. No Sword Play - Red Deer Advocate. Tai Chi Titlist is All Heart - Red Deer Advocate. 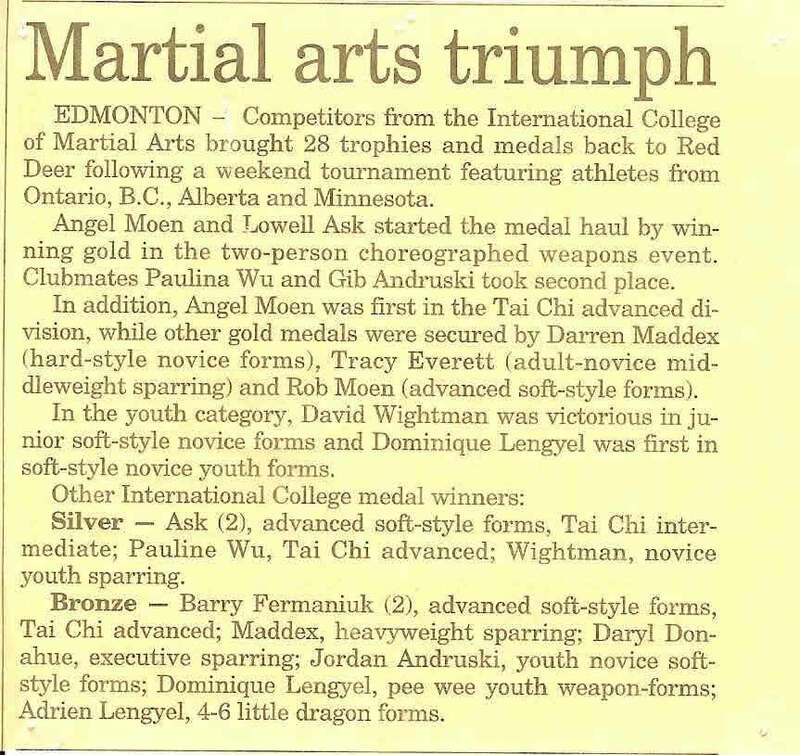 Martial Arts a Step to Self Improvement - Innisfail Province, July 8, 1986. Acupuncturist Like Human Mechanic - Didsbury Review, September 20, 1988. 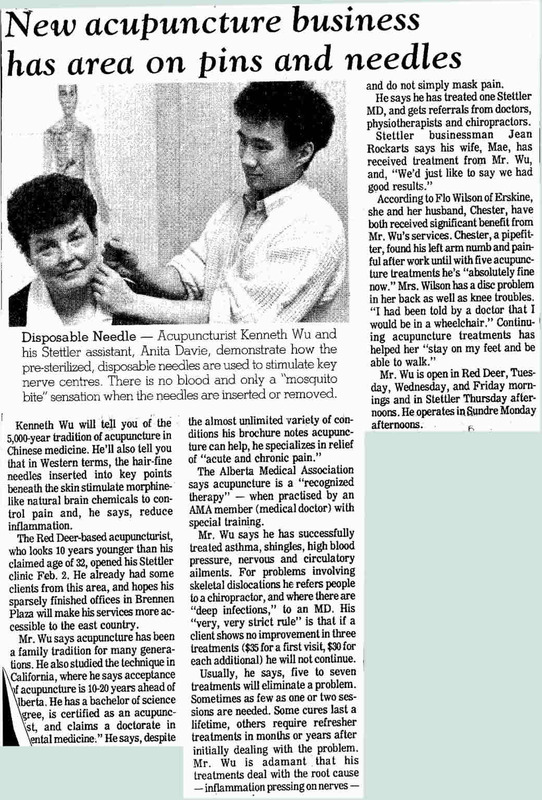 Laser as Option to Needles - Red Deer Advocate, October 1, 1988. 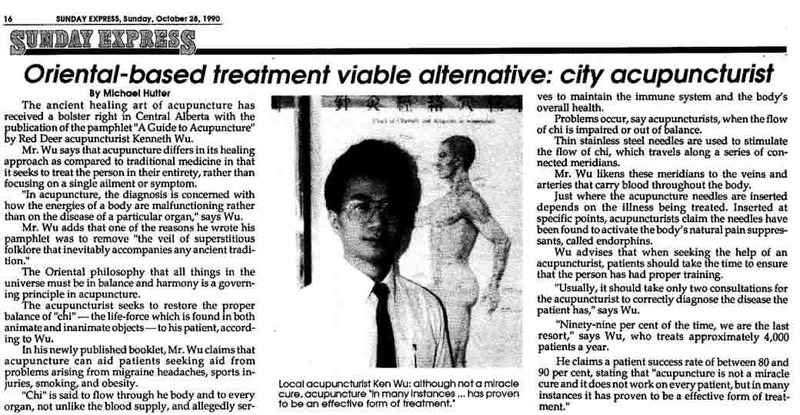 Oriental-based Treatment Viable Alternative: City Acupuncturist - Sunday Express, October 28, 1990. 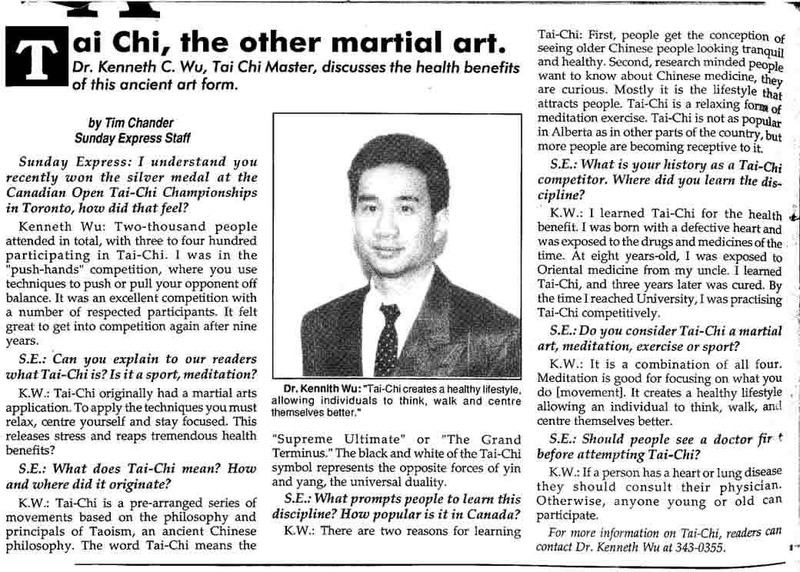 Tai Chi, the Other Martial Art - Sunday Express, November 22, 1992. 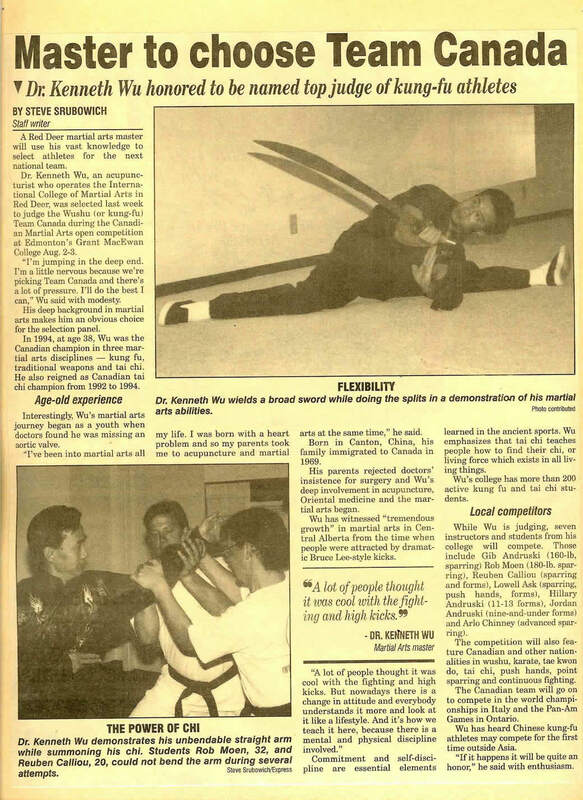 Martial Arts Master - Red Deer Advocate, November 28, 1994. 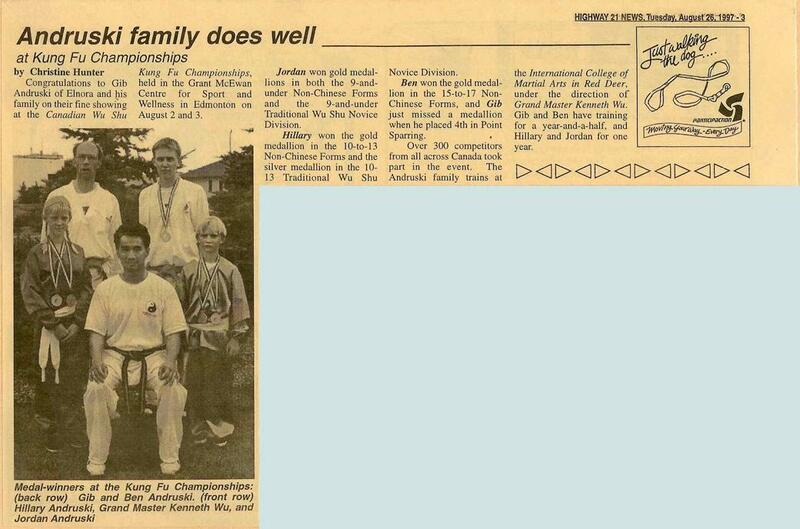 Andruski Family Does Well at Kung Fu Championships - Highway 21 News, August 26, 1997. 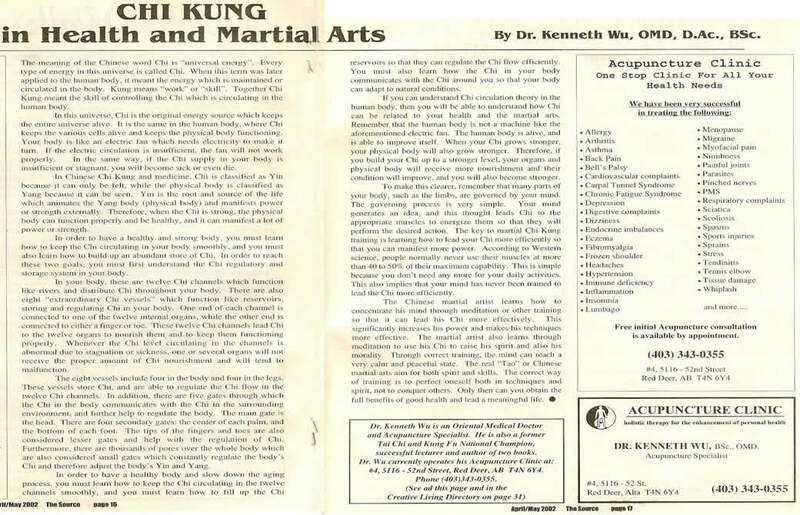 Chi Kung in Health and Martial Arts - The Source, April\May, 2002. 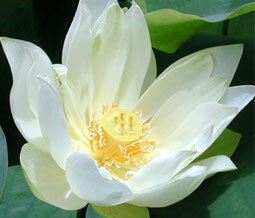 Acupuncture a Treatment for Symptoms of Arthritis - Central Alberta Life, June 16, 2003. 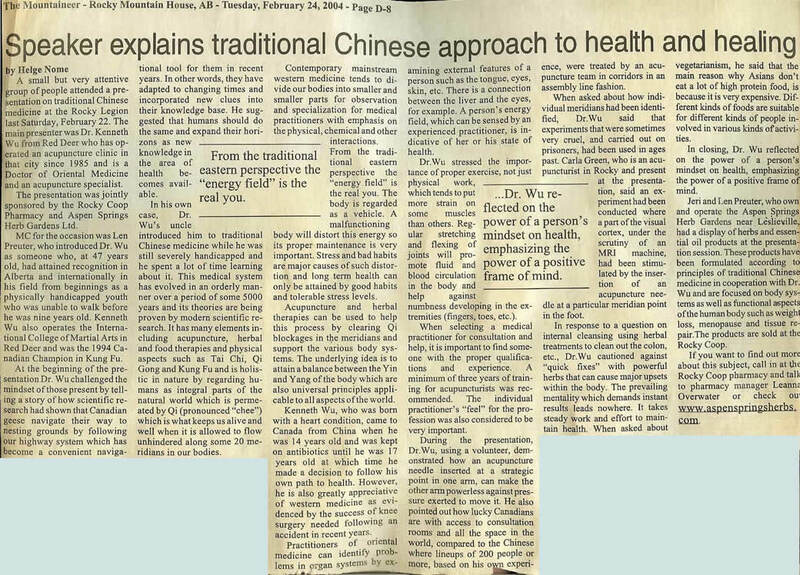 Speaker Explains Traditional Chinese Approach to Health and Healing - Rocky Mountaineer, February 24, 2004.